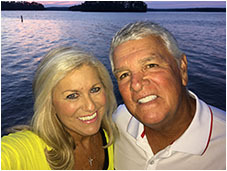 Patsy’s passion for helping people makes her one of the most sought after realtors in the Lake Martin area. Her integrity and professionalism are recognized by all that know her. You gotta meet “Buzzy” !! He has the ability, unlike many others, to create a fun and enjoyable atmosphere for your real estate experience! His attitude is always positive, happy and professional giving you the feeling that you’ve known him for a lifetime.